Gathering perspectives of musical talent from the psychological, musical, and educational fields, Kindling the Spark is the only single sourcebook that defines musical talent and provides practical strategies for identifying and nurturing it. Joanne Haroutounian uses her experience as teacher, researcher, and parent to clarify central issues concerning talent recognition and development in a way that will easily appeal to a wide audience. The book describes the different stages of development in musical training, including guidelines for finding a suitable teacher at different levels, social and psychological aspects that impact musical training, and research on talent development by ages and stages from infancy and preschool years through the teen years. An important feature of the book are "sparkler exercises" designed to provoke observable talent behavior in home, school, and studio settings. The book also includes an Appendix of Resources which lists books, media, organizations, and specialized schools that offer additional information on musical talent, identification, and development. 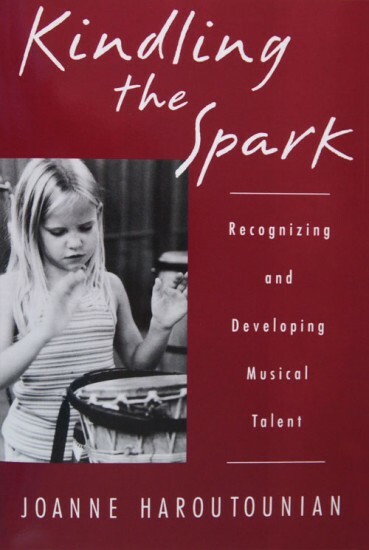 For music educators in both public school and private studio settings--as well as for parents and their musically inclined children--Kindling the Spark provides an invaluable summary of the research on talent and a wealth of resources for developing it.